Xiaomi rolls out 'Mi Credit' for instant loans- How to get it? 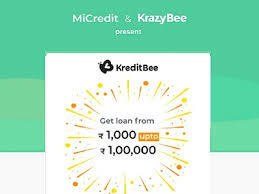 Xiaomi has officially announced Mi Credit service in India in partnership with KreditBee, offering an instant credit of up to Rs. 1,00,000 to MIUI users. to get an instant loan starting from Rs. 1,000 to up to Rs. 1,00,000. The lending service from Xiaomi is aimed at young professionals in the country. The company has said that the platform will work as a platform to initiate financial lending for professionals. Users will be able to get a loan within 10 minutes, by either providing their Aadhaar card or their PAN card. Manu Kumar Jain, Vice President and Managing Director said on Mi Credit as " Xiaomi provides internet services to give our users a complete mobile internet experience, and MIUI functions as an open platform for us to deliver our wide range of internet services, such as content, entertainment, financial services and productivity tools. The connectivity between our devices and the seamless integration between hardware and internet services enable us to provide our users with better user experience. Mi Credit is another big step in bringing an important internet service to India and we trust that our users would be able to truly benefit as the service becomes more sophisticated."